The Islamic insurance sector or Takaful has seen remarkable global growth in many major markets, especially in Muslim dominated countries. However, the development of Islamic finance, particularly Takaful in Algeria appears to have lagged behind. Although there are two Islamic banks operating in Algeria, Takaful is yet to be introduced into the Algerian financial market. We ran a study to investigate the perspective of Algerian experts in Islamic finance and takaful on the issues and challenges of introducing Islamic insurance into the Algerian financial market to address the following questions: What are the benefits of introducing Islamic insurance into the Algerian financial market? 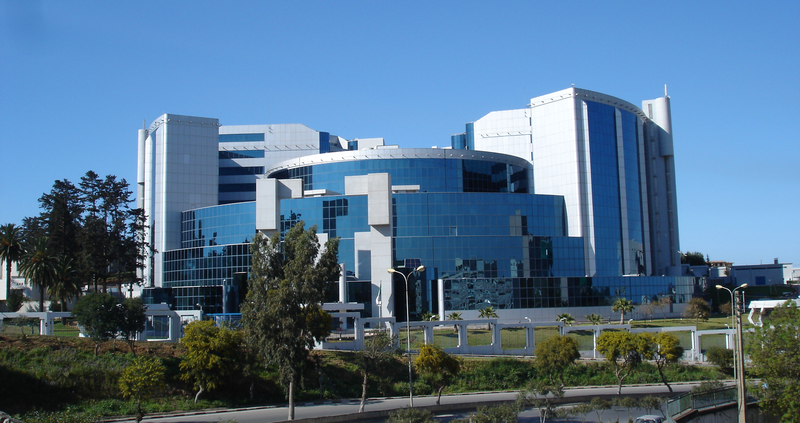 What challenges might Algeria face with the introduction of Islamic insurance? And how can the Algerian financial market adopt the Malaysian Islamic insurance framework? Takaful, which constitutes an integral part of the the Islamic financial system, is an alternative model to conventional insurance first introduced in Sudan in 1979 and motivated by the growing needs of Muslim consumers for an insurance protection that is compatible with Shariah principles (Qureshi, 2011). The Arabic term “Takaful” is derived from the word Kafalah which means “guarantee”. Takaful is based on the principle of mutual cooperation (Ta’awun) and donation (Tabarru’), where the risk is shared collectively and voluntarily by a group of participants (Ismail, 2011). According to Redzuan et al. (2009), the principles of mutual cooperation (ta’awun) and donation (tabarru’) are necessary in order for takaful to be acceptable by Islamic tenets embracing the elements of mutual guarantee and shared responsibility. Participants in a takaful scheme mutually agree to contribute into a takaful fund, through donations, a certain proportion of which contributes to providing financial assistant to any members suffering from loss. Shankar (2008) also noted that takaful is built on the principles of mutual cooperation, where each contributor participates in each other’s loss and, through their expertise, takaful operators facilitate this collaboration. Takaful is thus an agreement between persons who are exposed to certain risks, to avoid the damage that results from such risks, who pay subscriptions into a pool of funds with a commitment to donate (Tabarru’). Legally, this pool of funds is considered a juristic person with an independent legal personality from which the damage suffered by one of the subscribed members is compensated according to regulations and policies. The pool of funds is often managed by a board of selected policyholders or by the shareholding company. The board or the company – as the case may be – carries out the takaful operations and invests the pools’ assets. The amount of profit earned is then included in a money pool and distributed among the participants. Certain proportions of the contributions are set aside to provide financial assistance to other participants in the event of disaster and loss (Khan, 2011). On the other hand, the relationship between the participants and the conventional insurance company is clearly a Mu’awadah contract (commercial exchange) and its objective is to increase profit (Al Qaradaghi, 2009). This is different to participants in conventional insurance, who pay out contributions (premiums) to an insurance company which then invests them through interest-based instruments or non Shariah compliant investments. The surplus received from the interest and profit in this case are retained by the company without being distributed amongst the participants, only claims are paid with this surplus (Khan, 2011). We used qualitative research methods to examine the issues and challenges of introducing takaful in the Algerian financial market. We conducted interviews with five Algerian experts in Islamic finance and collected their opinions and perceptions on the issues and challenges of introducing takaful in Algeria. Experts were selected on the basis of their experience and involvement in various areas related to Islamic finance and insurance. All participants were male and had worked for at least five years in their respective fields. The following are the themes that emerged from participants’ responses. In response to the question about the advantages of takaful over conventional insurance, participants discussed their views and perceptions on the main differences between takaful and conventional insurance. Another critical factor to successfully implementing Islamic insurance that emerged from the interviews points towards the creation of a comprehensive legal framework which should govern the operational processes of takaful operators and define in detail their various rules and requirements. A legal framework should be introduced and laws amended in order to enhance the operational efficiency of takaful businesses, build healthy takaful funds, safeguard the interests of participants, ensure uniformity with Shariah principles, promote fairness and be transparent to protect the interests of participants. Participants reported that most takaful products can be used in Algeria but it is preferable to introduce them on a gradual basis. However, participants mentioned that some products might not be useful, such as educational plans since education is provided free of charge in Algeria. Additionally, participants highlighted that investment linked products cannot be offered in the Algerian financial market because such products are linked to unit and mutual trusts traded in the secondary market, which have not been initiated in Algeria. Therefore, participants agreed that in order to really think about introducing this industry, the Algerian government needs to develop the infrastructure that will include a sound and robust Islamic capital market, regulatory and legal framework. According to our study, factors that might influence the success of introducing takaful in Algeria span political will, amending the laws, publicity or marketing strategy for the industry, developing the infrastructure and collaborating with international organisations. However, the willingness or the support from the government was considered to be the most important factor for the successful introduction of takaful in Algeria. This support should be followed by enacting a Takaful Act that clarifies terms of licensing, and detailing the rights and duties of takaful operators. A marketing campaign should be enacted to raise public awareness and a comprehensive legal framework should be developed including the amendment of laws to suit the implementation of Islamic insurance. Furthermore, an audit system and Shariah board should be established to ensure that the products offered are Shariah compliant. Finally, collaboration with international organisations is needed particularly in terms of staff training and development. Al Qaradaghi, A. M. (2009). Ta’amine el-Dayn wa el-Thamane. Kurdistan, IRAQ. Benamraoui, A. (2008). Islamic Banking: The case of Algeria. International Journal of Islamic and Middle Eastern Finance and Management. Vol. 1 No.2, 2008. pp. 113-131. Ismail, E. (2011). Takaful and Actuarial Practices. Kuala Lumpur: Published by the International Centre for Education in Islamic Finance (INCEIF). Qureshi, A. A. (2011). Analyzing the Sharia’h compliant issues currently faced by Islamic Insurance. Journal of Contemporary Research in Business. Vol 3, N.5. Redzuan, H., Abdul Rahman, Z. and Aidid, S. H. (2009). Economic Determinants of Family Takaful Consumption: Evidence from Malaysia. International Review of Business Research Papers. Vol. 5 No. 5. Pp.193-211. Shankar, S. (2008). Conventional Insurance Slow To Capitalize on Takaful Potential, MIF Monthly, Takaful Supplement. Noordin, Kamaruzaman, and Djafri Fares. “Issues and Challenges in Introducing Islamic Insurance (Takaful) into the Algerian Financial Market: Lessons from Malaysia.” Contemporary Issues and Development in the Global Halal Industry. Springer Singapore, 2016. 359-369. 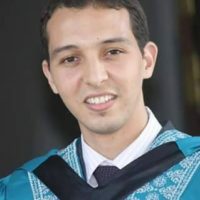 Fares Djafri is a PhD candidate and researcher working in the field of Islamic finance at University of Malaya, Malaysia. Previously obtaining a master’s of science (Finance) from the International Islamic University Malaysia (IIUM). Currently, his research interests range from Islamic finance, Islamic insurance (takaful) to management.